I have seen his death date recorded as December 31, 1923. Also that he was born in April, not May. A family member sent me a correction on his death year - 1921 instead of 1923, but this contradicts the year on his tombstone. 1. 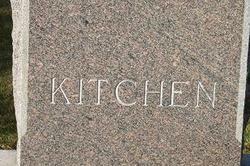 Cemetery: Main Kitchen Headstone: Loveland Burial Park, Loveland, Colorado. 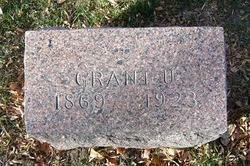 Grant married Mary Alice Rust, daughter of John Rust and Elizabeth Taylor, on 18 Oct 1893 in Sparta, Illinois.